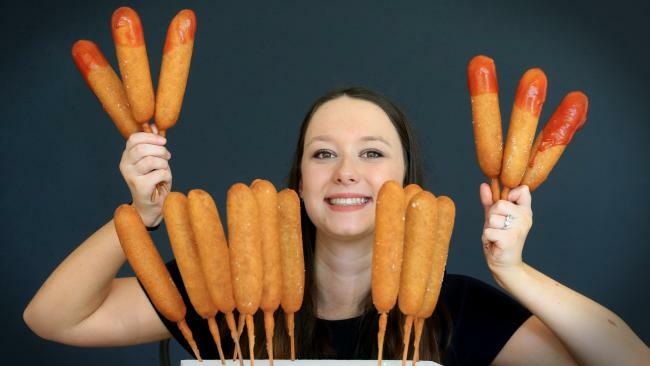 IT WILL take dogged determination and an empty stomach to take on the Ekka's inaugural dagwood-dog-eating competition. Contestants will be given five minutes to eat as many mini dagwood dogs as they can. 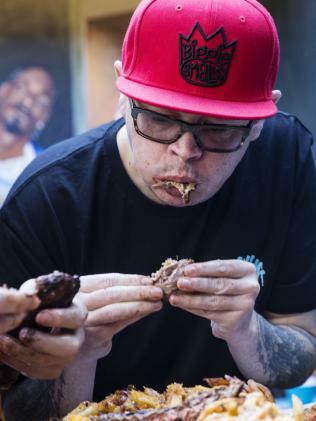 For a comparison, reigning Luna Park hot dog champion HulkSmashFood, aka Cal Stubbs, says he can eat a regular-sized dagwood dog in 15 seconds, and estimates come Ekka comp day he will get through 20 to 30 of the mini versions. Gabby Dowd, 20, of Thornlands has signed up for the challenge. "Everyone knows I love food," she says. "I surprise people with how much I can eat and I love everything to do with the Ekka. "I've even bough dagwood dogs from the supermarket, but they aren't the same." The Ekka contest is sanctioned by Competitive Eating Australia, so eaters can earn points which are used to calculate an Australian CompetitiveEating overall ranking. The Dagwood God Eating Competition is on Sunday, August 19. Entrants must be over 18 and nominations close tomorrow. Everyone has a show food favourite: did we choose yours?